We meet and provide support for the planning of pilgrimages. The returned pilgrims among us have walked to Santiago de Compostela along many of the pilgrim routes in France, Portugal and Spain. Our first meeting was in March 2006. At that stage we did not meet regularly but interest in the group was strong and the gatherings soon developed into their current monthly pattern. We are passionate about the Camino and our meetings are full of lively and animated conversation yet they can also provide an opportunity for quiet one-on-one interaction. We are pilgrims helping pilgrims. We have felt and so can relate to your fears, your trepidation, your doubts, your excitement and your wonderment at the task you have set yourself. We exist to support your individual needs in preparing for your pilgrimage as well as afterwards as you process your experiences. 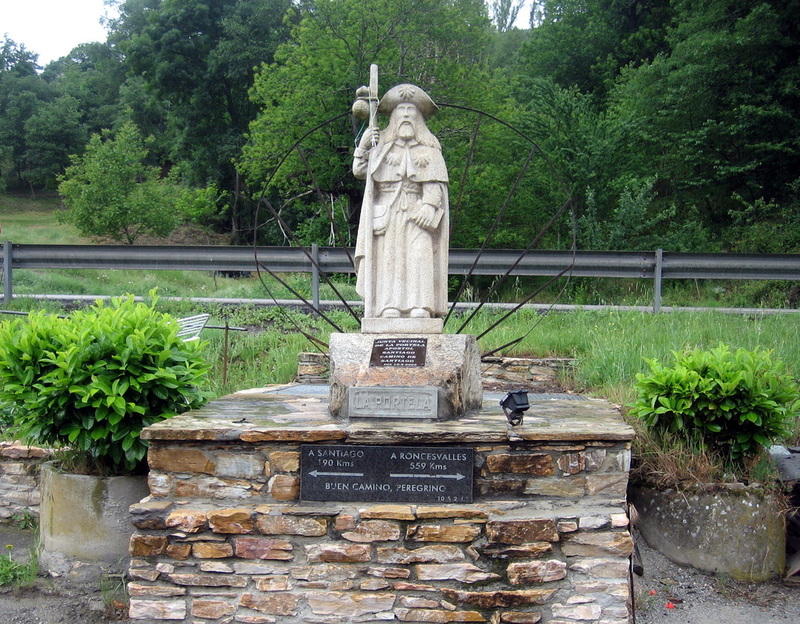 On the Camino Francés, only 190kms to go - nearly there!